Molecular Biophysics and Biochemistry is an open access journal publishing original peer-reviewed articles in all areas of molecular biophysics and biochemistry. MBB will focus on complex relationships and mechanisms that control biological processes, interactions among proteins, nucleic acids (DNA and RNA) and between proteins or nucleic acids with small metabolites and also includes structural studies, energetics, molecular design/engineering, signalling, novel biophysical methods, computational chemistry and genomics as well as prominent areas in the molecular biology and genetics of prokaryotes, eukaryotes, and viruses. This journal will be of particular interest to biophysicists, biologists, biochemists, cell physiologists, systems biologists, and molecular biologists. Molecular Biophysics and Biochemistry will feature original research, review papers, clinical studies, editorials, expert opinion and perspective papers, commentaries, and book reviews. Copyright is retained by the authors and articles can be freely used and distributed by others. Articles are distributed under the terms of the Creative Commons Attribution License (http://creativecommons.org/licenses/by/4.0/ ), which permits unrestricted use, distribution, and reproduction in any medium, provided the original work, first published by MBB, is properly cited. I graduated as a physicist at the University of Bucharest in 1995, with a diploma in Biophysics. Following a MSc in Neurobiology at the Faculty of Biology of the same institution, I obtained my PhD in Biology in 2002, with a thesis focused on the biophysics of ion pumps and transporters. Most of the experimental part of my PhD work was carried out at the Max Planck Institut for Biophysics in Frankfurt, Germany. Following my PhD I shifted my focus on cellular neuroscience, working on sensory transduction in mammalian primary afferent neurons. I was the beneficiary of an Alexander von Humboldt postdoctoral research fellowship at the Institute for Physiology and Experimental Pathophysiology in Erlangen, Germany, where I continued my work on Transient Receptor Potential ion channels and voltage-gated sodium channels and their modulation in pathophysiological states, such as inflammation and diabetic neuropathy. Since 2008 I am a professor of Neurobiology at the Faculty of Biology, University of Bucharest, where I also lead a research group working on cellular and molecular mechanisms of thermoreception and nociception in the peripheral nervous system. I have co-authored 26 research articles and reviews in international peer-reviewed journals, including Nature, Nature Medicine, Nature Communications and the Journal of Neuroscience. Molecular Biophysics and Biochemistry is an Open Access journal and we do not charge the end user when accessing a manuscript or any article. This allows the scientific community to view, download, distribution of an article in any medium, provided that the original work is properly cited, under the term of "Creative Commons Attribution License". In line with other open access journals we provide a flat fee submission structure on the acceptance of a peer-reviewed article which covers in part the entirety of the publication pathway (the article processing charge). The process includes our maintenance, submission and peer review systems and international editing, publication and submission to global indexing and tracking organisations and archiving to allow instant access to the whole article and associated supplementary documents. We also have to ensure enough investment to secure a sustainable model which ethically, legally and financially stable. 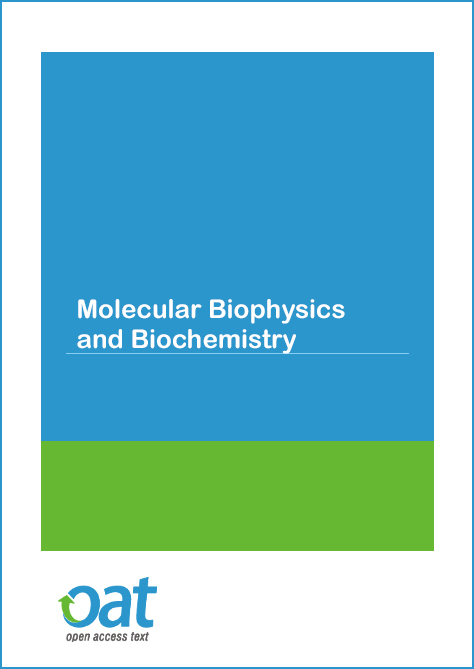 The publication charges for Molecular Biophysics and Biochemistry are GBP 690.